I have an 8 year old Sarah Bernhardt peony that I would like to divide. I live in Raleigh, NC and I was wondering if it is too late to divide it? Thank you for any advice you can give me. Actually you are in luck. Since the ground never really experiences a hard, long freeze during the winter here in growing zone 7b, you have some extra time to divide your herbaceous peony plant (especially with the warmer temperatures we've been experiencing here recently). Ideally peonies are divided in the fall season. 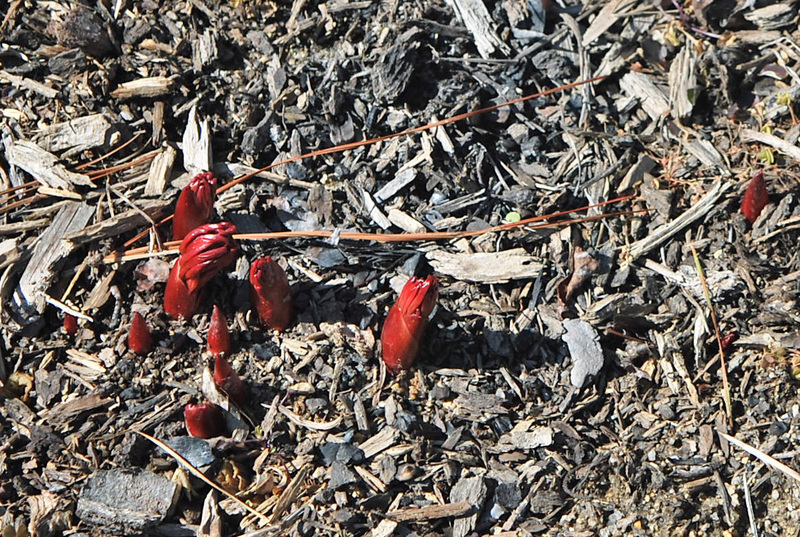 However, digging and dividing a peony now in our growing zone should be no problem, as long as there is no snow cover (which is rare here anyway) and the ground is not frozen at the time. I would definitely get it done now, though. January and February would probably be the limit on when to divide a peony in a Southern growing zone. 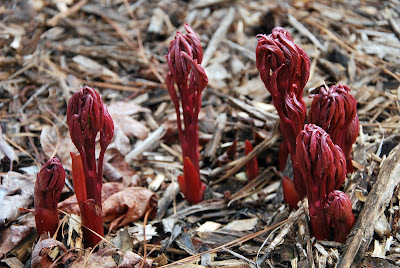 By March the peony's foliage will begin to start an active growth cycle, and that foliage would be stunned by a division during that time. The plant may still recover. However, completing the division now, before that active growth cycle starts is your best bet. Also if you need some step by step instructions (with pictures) on how to divide an herbaceous peony, please take a look at my How to Divide an Herbaceous Peony guide on my How To page. Good luck with your dividing your peony! If you do not have the choice to schedule the disturbance until late next summer, divide/replant can work now. However, it can be expected to slow the recovery. Suggest you review the article on moving mature peonies at the web site of my former peony nursery, HollingsworthPeonies.com, before undertaking the move, unless you are an experienced peony grower. 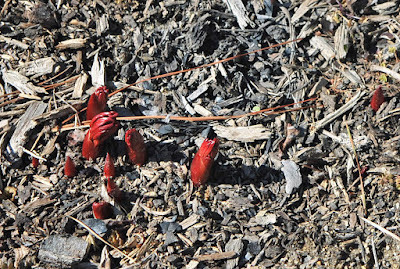 Do not replant a large peony whole unless you are able to get the entire root system. When the big storage roots get pruned off during the dig process, it upsets the root::top ratio and one is at risk of getting leafy stems and no flowers for the ten years. Dividing overcomes the root pruning by growing pretty much an entirely new plants during the next couple of seasons.